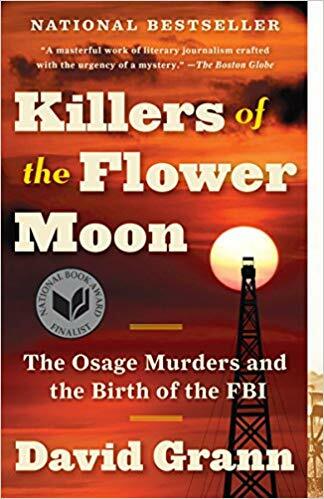 David Grann’s book Killers of the Flower Moon details a past that was once infamous but now almost forgotten except in Osage country. In the 1920’s, the Osage nation in Oklahoma was the richest population per capita in the United States. This phenomena was a result of wise decisions by the tribal leaders during the 19th century land grab by the whites. They voluntarily moved from their homelands, purchasing land in Oklahoma that they thought white men would deem worthless. Then oil was discovered on their property. Because the nation had purchased the property, it couldn’t be taken back. However, the federal government, in its infinite wisdom, deemed the Osage unfit to handle their own money. So, they appointed white guardians for them. As you can imagine, there were many eager to cheat these people out of their headrights, as were called their shares of the tribal fortune. The Osage began dying. Grann centers much of his book on Mollie Burkhart, the Osage wife of Ernest Burkhart. One by one, her family started dying. First, her sister, Annie, was found shot in the head. Then her mother, Lizzie, died of a mysterious illness, believed by many to be poison. When her sister Rita’s husband, Bill Smith, tried to investigate, he and his wife and servant girl were killed one night when their house exploded. Other Osage were dying, too, and investigators either came up with nothing or were themselves murdered. As the FBI was in its infancy and trying to figure out its own jurisdictional powers, new director J. Edgar Hoover decided that the Osage murders, which were becoming infamous as indicators of failure and corruption, would be good ones to solve. So, he sent out a former Texas Ranger, Tom White, to investigate. Grann follows their investigation, and it is a fascinating one. This is a shameful period in our history that should not be forgotten. Grann goes further than the FBI, though, by looking into other deaths that were not investigated. This book tells a mesmerizing story about a shocking time not so far in the past. Yesterday, I posted my review of the last of the 2011 shortlisted books for the Man Booker Prize, so it’s time for my feature where I decide whether the judges got it right. The 2011 shortlist offers a lot to like, although I found a bit to dislike in it, too. It’s easy for me to dismiss one of the books. I did not like Patrick DeWitt’s The Sisters Brothers, an ironic, superviolent Western, at all. I was a little more interested in Half-Blood Blues, Esi Edugyan’s dual time-frame story about how jealousy affects an American blues band hiding in Nazi-occupied Germany and Paris. However, I didn’t really like most of the characters and I wasn’t in love with the vernacular used to narrate the novel, which I believed was probably not historically accurate. Snowdrops by A. D. Miller paints a chilling picture of life in post-Cold War Russia. I felt this was an engaging thriller and character study with a narrator made unreliable by his willful ignorance. I was enchanted by the narrator of Stephen Kelman’s Pigeon English, a naive 11-year-old boy from Ghana, and the novel invoked in me a growing dread. However, I felt that the role of the pigeon didn’t really work. 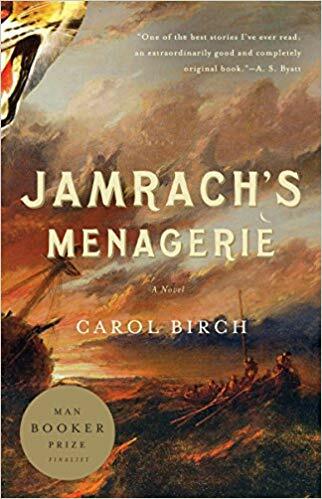 Jamrach’s Menagerie just plain tells a fascinating story, about a 19th century boy who is rescued from poverty by a menagerie owner and who sails off on a mission to find a dragon. This novel features wonderful storytelling. 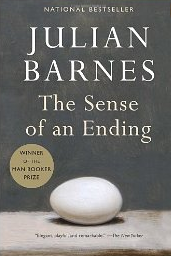 The winning novel was Julian Barnes’s The Sense of an Ending. Barnes is a master of the unreliable narrator, and this novel is no exception. Through reading the diary of a friend who committed suicide, the narrator learns that everything he remembers about the key relationships in his life is wrong. Although this time it was a tough decision, I have to agree with the judges. Barnes’s book is short but psychologically fascinating and complex. I would also pose that it is the novel that is the most literary of the shortlisted books. I strongly recommend some of the other books, however, particularly Jamrach’s Menagerie. Jaffy Brown and his mother are eking out an existence in the slums of 19th century London when, as a very young boy, he meets a tiger coming down the street. Not knowing enough to fear it, he walks up to pet it and it picks him up in its mouth. The tiger is an escapee from the animal importer, Mr. Charles Jamrach, that has fortunately just been fed, so Jaffy isn’t harmed. Jamrach gives him a job taking care of his animals, and his fortunes materially improve. Jaffy befriends two twins, Ishbel and Tim. As he gets older, he learns to love Ishbel, although she is alternately affectionate and aloof. With Tim, he develops more of a love/hate relationship. When Jaffy is 15, Jamrach decides to send an expedition to the East Indies to look for a reported dragon. He picks Tim to go with Dan Rymer on the expedition, but Jaffy signs as a sailor. He has always felt an affinity for sailors and the sea. They set off on their voyage. Jamrach’s Menagerie is a terrific novel. It is simply a good story that pins you to the page. It is imaginative, evocative, and the writing is gorgeous. I read this for my Booker Prize project, and I loved it. Today is another review for the Literary Wives blogging club, in which we discuss the depiction of wives in fiction. If you have read the book, please participate by leaving comments on any of our blogs. Be sure to read the reviews and comments of the other wives! Emily of The Bookshelf of Emily J. Wait for Me, Jack is the story of a marriage, told backwards. I remember this technique being used for the movie Betrayal, giving the final scenes of the enraptured beginning to an affair a certain poignancy. That’s not really the effect of this novel, however. The novel begins with a few scenes before the death of 80-something Jack. His wife Milly can hardly walk, increasingly more debilitated since her injury in a car accident in her 40’s. Jack has had a couple of heart attacks. Both have been suffering from the indignities of old age. The novel works its way backwards, showing them at two- or three-year intervals, until they meet at work in their 20’s in 1950. This backwards approach may have worked better if it was not so regular, if we saw them at less frequent but more significant times of their lives. Instead, it visits them at purposefully mundane times—not when they split up but when they are separated, not when their son dies but before and after. A more significant issue, though, is that their problems are trite and not very interesting. Jack is a philanderer. Milly is dreamy and a neglectful housewife. Their personalities are ill-defined. Sure, we see their thoughts over a period, but we still don’t have much of a sense of them as people. I started out mildly interested in them but eventually bored, especially when I found that the last four or five pages echo the first four or five almost verbatim. Really? Why not end with their first sight of one another? Wouldn’t that have been more poignant? And by the way, what did they see in one another? We’re told that Jack first thinks he’s meeting a classier lady than Milly proves to be. He has upward ambitions. But he must find out that is not so fairly early on. In any case, their reasons for staying together are not clear. I disliked Jack and found Milly to be silly, and the other characters are just ciphers, there for the plot to continue. I have commented on this before for other novels, but I also disliked Jones’s technique of having her characters think words like “Gee” and “Jiminy.” These might be words that people say, and she obviously thinks these expressions are cute, but we don’t ever think these sort of interjections. Despite her occasional insights, I found Milly to be much more enigmatic than Jack. For a girl who at the beginning of the book seems to want adventure and a change from her lower-class roots, she settles pretty quickly into a standard 50’s housewife at first not much better off then her parents were. She actually reminded me of my mom, a dreamy person not really suited to her role, at one point imitating Jackie Kennedy. She accepts her role better than my mother did, though, and stays devoted to her husband even when he strays. Why is that? Is that just because it is what you did in her generation? But that’s clearly not true, as it is just at this time that divorce increased so much in the U. S.
Jack has the typical 50’s view of his wife and never really advances out of it. He considers their money his and discounts the effort she spends caring for the kids or keeping the house. “What do you do all day?” he asks, even though anyone who has done both roles knows that keeping a house and caring for children is a lot harder than working in an office. These were accepted views of the time, though. 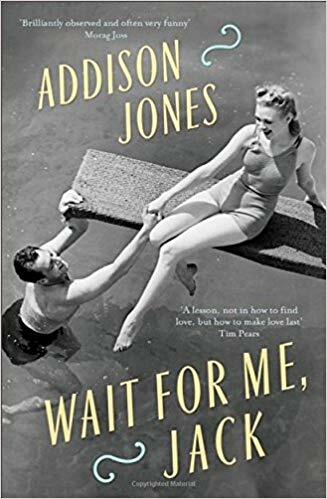 Still, Jones herself seems to have the same view, having Milly watch soap operas and read magazines and daydream more than showing her engaged in her daily tasks. So, how to answer this question? I see Milly as a woman who accepts her traditional role as defined in the 50’s and doesn’t really advance much with the times. Jones shows her, for example, puzzled about feminism in the 60’s and 70’s but not really getting it. She inexplicably puts up with Jack’s dalliances and accepts his illegitimate son into her family. Most of the time, she doesn’t really seem to love Jack (although I think she loves him more than he loves her), just as he doesn’t seem to love her but criticizes her all the time. However, she stays devoted to him in other ways. Maybe this describes most marriages. I don’t know. But I think the biggest problem with this book is that it takes a surfacy look at marriage. It seems like I’m in the middle of a lot of trilogies lately. I just wrote up my review of the last of Gerald Durrell’s Corfu Trilogy (coming soon) and in two weeks the review of the first book in Olivia Manning’s Balkan Trilogy will appear. I actually just finished reading the second book in that trilogy (review coming in a few months) and liked it enough to purchase her Levant Trilogy. Now, here’s the beginning of another trilogy. 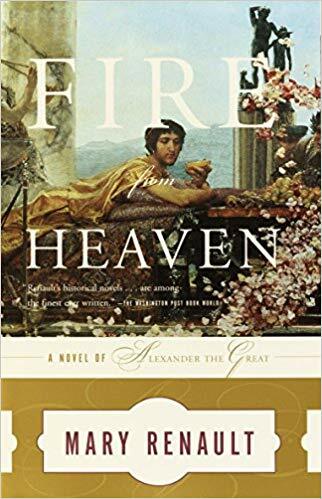 Fire from Heaven is the first book in the great Mary Renault’s trilogy about the life of Alexander the Great. Renault, of course, is known for the historical accuracy, admired by authors and classicists, of her novels set in Ancient Greece. Fire from Heaven follows the life of Alexander from the age of four to nineteen, when he became king of Macedon. His life is plagued by the battles between his mother, Olympia, allegedly a sorceress, and his father, King Philip. Philip’s crime is to have taken additional wives, even though Olympia is at total enmity with him. She sees this as a mortal affront and teaches her children to hate him. She is also cagey about whether Philip is actually Alexander’s father, hinting that he is not. As Alexander gets older and begins learning about fighting and diplomacy from his father, they begin to understand each other. Olympia’s machinations and Philip’s womanizing continually create problems and misunderstandings, however. An important person to Alexander is his friend Hephaistion, who becomes his lover. The two are inseparable, and Alexander is fascinated by the Sacred Band of Thebes, a group of soldiers composed of pairs of lovers, said to fight the more doggedly because of it. This novel is rich in the intrigues among the city-states of the area, the myths surrounding Alexander’s life, and the depth of characterization. I read it long ago but found I didn’t remember it well and am pleased to have begun rereading this trilogy. 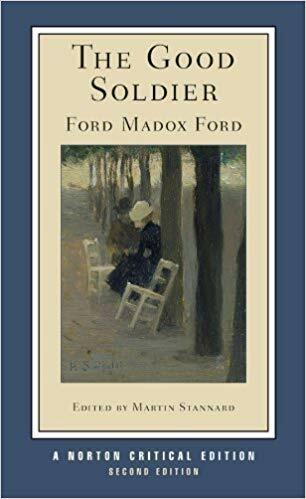 The Good Soldier is considered Ford Madox Ford’s greatest novel. His earlier work was more Edwardian realist, but this novel has several characteristics of modernism, including an unreliable narrator, an interest in characters’ psychological underpinnings, and a more liberated female character. The narrator of the novel, set before World War I, is John Dowell, a wealthy but incredibly dense American. He is not unreliable because he is lying or misrepresenting what has happened but simply because he is almost willfully blind to it. At the beginning of the novel, he informs us that the Ashburnhams were his wonderful, close friends for nine years, decent people, good people. Yet, at almost the next breath he reveals that Edward Ashburnham had an affair with John’s wife, Florence, for nine years. The Good Soldier is the story of the complex relationships between Leonora and Edward Ashburnham and how their problems affect the lives of other people, particularly their innocent young friend, Nancy. This is the kind of book, I believe, that readers will understand differently each time they read it. 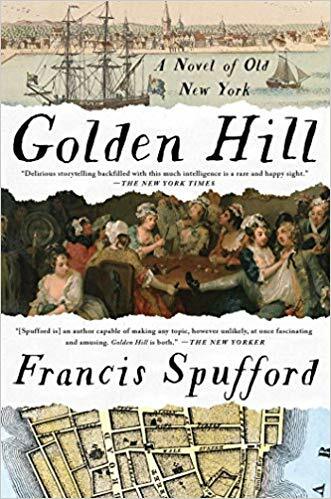 The Best Book for this period is Golden Hill by Francis Spufford! Highly recommended: Samuel Pepys: The Unequalled Self by Claire Tomalin and Brief Lives by John Aubrey.